Laser resurfacing, also known as a laser peel, is the perfect non-surgical choice for those looking to safely and effectively repair damaged skin while stimulating new collagen growth. The elos plus Laser is the leading resurfacing solution for improving the appearance of wrinkles and skin imperfections caused by acne, burns, trauma to the skin and surgical scars. It can be used on the face, neck, chest and body. It is the only laser that can safely be used on the periorbital (around the eyes) and prior areas (around the mouth). 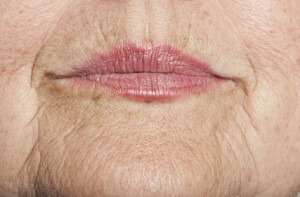 These areas are often the first to show signs of aging and can be the most difficult to treat. Increased volume and firmness: Leaves skin fuller and more youthful after a single treatment. Improves skin texture and tone: Evens out skin texture and tone making scars and pigmentation less visible. Rapid recovery: Little to no downtime due to advanced fractional laser therapy. Low cost: Comparable results to surgical options at much less of an expense. Instant results: As soon as skin heals, skin will glow and have a much more youthful appearance. Continual improvement: Following your treatments, you will continue to see structural progress of the treatment areas. RF energy is precisely directed to the skin in the form of a matrix. Healthy skin around the dots accelerates the healing process of the skin. Post treatment, new collagen and healthy skin cells are produced. Mild to moderate wrinkles and superficial skin discolorations are reduced. The texture of your skin becomes more smooth and elastic. Comfortably reverse the signs of aging and achieve a more youthful appearance without downtime. elōs is the first and only technology that uses combined energies to effectively stimulate collagen production and improve your overall skin quality in areas that are most telling when it comes to age, such as the eyes, brow lines, cheeks and around the neck.